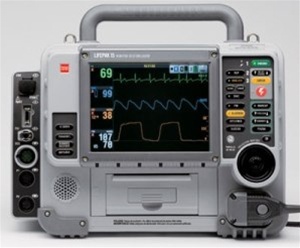 The Palisade Rural Fire Protection District has purchased two LifPak-15 Cardiac Monitor/Defibrillators with a $50,000 grant from the Mesa County Federal Mineral Lease District (MCFMLD). These monitors will give a higher level of care to patients served by the Palisade Rural Fire Protection District, by shortening the time from patients’ symptoms to treatment from 60 minutes to 30 minutes. By decreasing the time between symptoms and treatment, odds of patient survival will vastly be improved. The new LifPak-15 monitors have a life expectancy of 20 years. “Providing our local fire departments with life-saving equipment benefits everyone in our community. We are pleased to be able to help support our local community needs through the Mesa County Federal Mineral Lease District Grant process,” stated Dusti Reimer, grant administrator for the district. The Palisade Rural Fire Protection District was awarded the grant during the Fall 2016 cycle. For more information, please visit their website at www.mesafml.org or follow on Facebook and Twitter for up- to-date information regarding meetings and grant project progress.